These Easy weight loss tips will help you FEEL better too! Here are some easy weight loss tips that will help you FEEL good too. Get enough sleep. Lack of sleep is a serious obstacle to weight loss. This is one worth working on right away, if you can. Did you know that when you do not get enough sleep your resting metabolic rate (which accounts for about 70% of the calories people burn) slows down? That means when your body is at rest, it is not burning as many calories as it could! If you struggle to fall asleep, you might be thinking, "That ain't easy!" (and I would say you need to learn some power techniques.) If that is the case, I'd recommend my favorite sleep technique here. Reduce Stress. Scientists have discovered a striking relationship between stress and weight gain. You have probably heard a hundred times how when you are stressed out, the "fight or flight" response in your body is switched on. But how does that have anything to do with weight loss? When you are under stress, your heart rate is faster as your heart sends blood to your muscles to give you the strength to fight or flee. When all the blood is headed to your muscles for fight or flee, it means your other body functions are neglected: digestion slows down, so you do not digest and receive the nutrients you need from the food you have eaten. And, the worst player in the stress mix, is that your body triggers your adrenal glands to produce more of the hormone cortisol. Cortisol is a big bad player in the weight loss world. Cortisol slows down fat burning (which we want), and makes us go into a sugar burning mode. So, the fat that is not being burned, where does it go? Yep. It gets stored. And we are trying to get rid of our storage units, not add more. Eat Less, More Often. Research shows that if you eat every 2 - 3 hours you will have a faster metabolism, and less body fat then if you eat 2 or 3 meals a day. Each time you eat, you stimulate your metabolism for a short period of time. 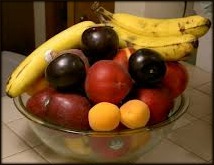 Eat Fruit On An Empty Stomach. All of our easy weight loss tips are based on trying to provide you with real things you can do right now to lose weight faster. If you have not heard of this before, here is the short version: fruit digests in the intestines, not in the stomach. When fruit is eaten alone, it digests quickly, nutrients are absorbed. When eaten with other foods, of any kind, or right after a meal, your fruit ferments, slowly releasing sugars, which cause a spike in your blood sugar, and which makes you hungry faster. when you have mind power techniques? Eat more vegetables. Vegetables are loaded with fiber. Fiber is a non-digestible carbohydrate. And the really big bonus of vegetables? Your body uses up lots of calories working to break down the non-digestible fiber. Other great things? Vegetables are low in calories and high in nutrients. 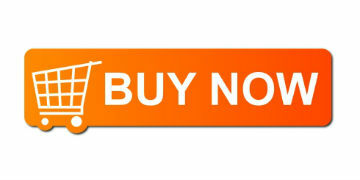 As you can see these easy weight loss tips are also healthy weight loss tips. Find more of them here. 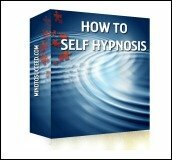 Why Hypnosis for Losing Weight﻿?